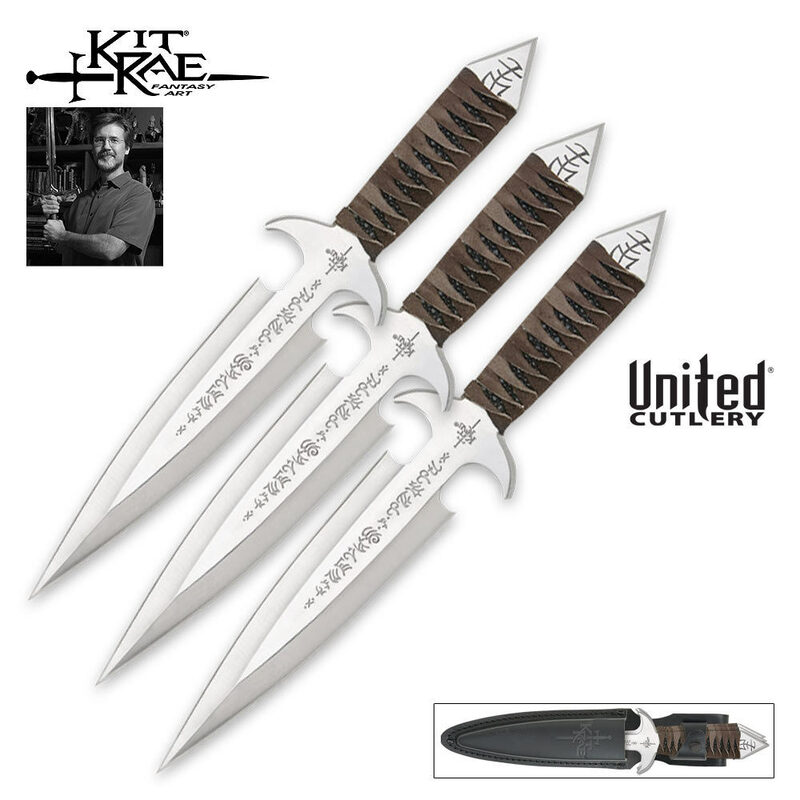 From legendary fantasy edged collectibles designer Kit Rae, each of these oversized throwing knives is as attractive as it is functional. Each thrower is perfectly balanced for even throwing and features razor-sharp edges with piercing points for deep target penetration. Beautiful blade etchings adorn each piece, giving it an elegant appearance with a custom look and feel. 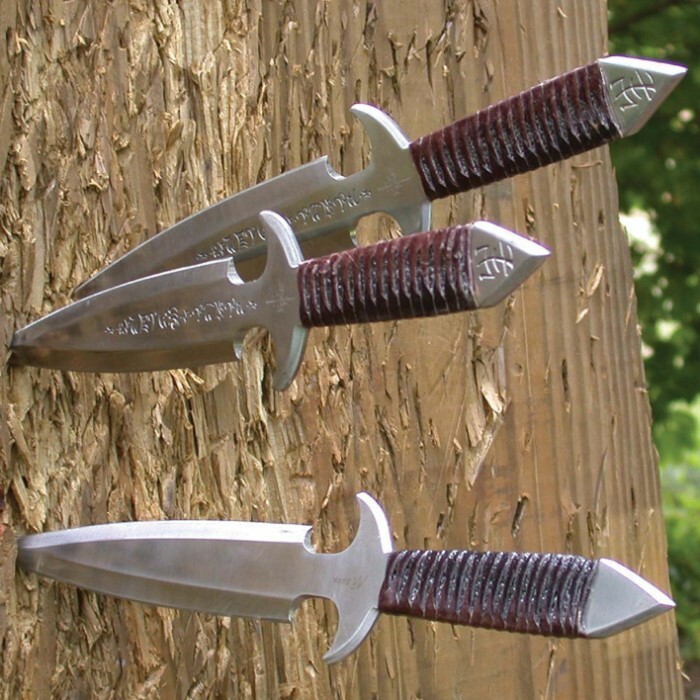 The leather-wrapped handle grips are not only attractive, but also provide a firm, secure grip to maintain your aim and ensure an effective release with each throw. An embossed Kit Rae sheath houses all three blades.